OpenSim core developer Melanie Thielker is donating a new cluster storage solution to the community. Called FSAssets, it is designed to replace the MySQL databases or the RAID storage arrays used by other grids. FSAssets is also the new asset storage for OSgrid, which had previously relied on RAID storage. Any grid with more than 80 regions that has a separate server for its assets database should upgrade, Thielker said — and the earlier, the better. Especially if the grid is an open grid, allowing external connections, assets can add up quickly. Converting a terabyte of assets from MySQL to FSAssets can take weeks, she said. “It’s better to do it sooner,” she added. OSgrid had a database of 3.5 terabytes of data, or about 21 million separate files. Last August, OSgrid went down after a failure of its RAID 10 storage, followed shortly afterwards by The Next Reality Grid. In October, Craft had its own issues with RAID as well. Thielker had been helping out with OSgrid in the background, was familiar with how OSgrid was organized, and was a member of the OSgrid development chat group. Thielker is no stranger to large asset databases. Avination is one of the largest OpenSim grids, and had also run into the limits of what the default MySQL database could do five years ago. However, instead of upgrading to RAID, she decided to take her grid one step further, to cluster technology, instead. The results paid off. Avination’s uptime percentage is the highest in OpenSim, she said, and higher than that of Second Life. 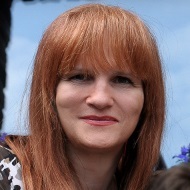 “It is a strong argument that I could make of going for something proven to work without breaking in a high-availability environment,” she said. Avination’s cluster storage solution is called FSAssets and starts out where RAID leaves off. The MySQL database that is the default storage system for OpenSim is composed of one giant file — the MySQL database itself. When that got too difficult to manage, both OSgrid and Avination replaced that one big file with lots of smaller files — a separate file for each asset. Then both put those files into RAID storage, which stands for Redundant Array of Independent (formerly Inexpensive) Disks. 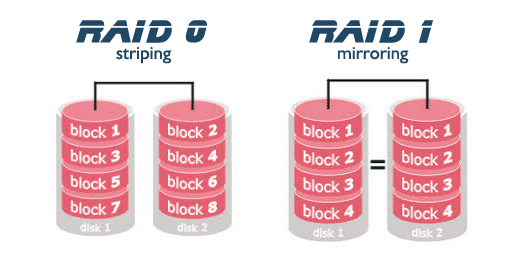 RAID uses multiple hard drives to store duplicates of the data. The idea is that if one drive is busy, or broken, the other drive can step in. “With that asset server, OSgrid managed to get over the hump that had been limiting its growth,” Thielker said. At that time, Thielker said she could see the same issues coming down the road for the Avination grid, so she sat down and wrote her own asset server. Her solution went one step further and added clusters. This group of servers is the cluster, she explained. It turned out that her solution worked almost the same as OSgrid’s. Replacing OSgrid’s code with the FSAssets code required that she only change 10 lines of code. When it turned out that the FSAssets code easily integrated into OSgrid’s infrastructure, Thielker realized that it could be added to the standard distribution of OpenSim as well. “And it will appear in core after a bit of cleanup,” she said. The most time-consuming part of the whole process wasn’t rewriting the code, but in cleaning up the recovered asset data. Now OSgrid is in a similarly strong position, she said.